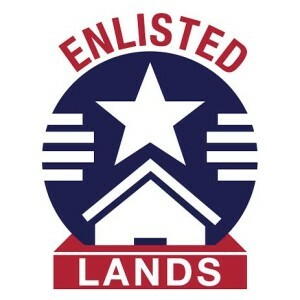 We here at Enlisted Lands hold onto this quote and our desire with this site is to help you find the perfect Retirement Community that fits your lifestyle and needs. Using Zig Ziglar’s Wheel of Life we have grouped the 6 areas of a Retired Person’s life and how the Armed Forces Retirement Homes in Washington DC and Gulfport, MS cater to these areas. We’ve decided to call it the Circle of Life because that’s exactly what life is…ashes to ashes and dust to dust. In putting together this site and looking over the 30+ frequently asked questions we started seeing a pattern. The questions that were being asked were 6 Key Areas of a person’s life. We grouped these questions together with the respective area of life it pertains to and answered them through the experience and eyes of a Resident. Of course, we did enlist the help of the wonderful staff that helps each and every day maintain and run both of the Retirement Homes. Whether your family is blood or those you’ve been blessed to choose as your family, you can’t deny that they are the ones that have stuck by you through thick and thin. From visiting hours and places to stay for your family when they come to visit, we answer all your questions about family life. Undoubtedly the number one question we get asked all the time is, “How much does it cost to live in one of the Armed Forces Retirement Home?” We not only answer this question but we also give you the contact information to those that can answer your questions in more depth. Your mental well being is just as important, if not more so than your physical health. We wholeheartedly believe in keeping your mind active and sharpening it on a daily basis. This is why there are so many activities offered in the homes and trips scheduled outside of the home. The meaning of Atrophy – gradually declines in effectiveness or vigor due to underuse or neglect. This is what we do not want to see happen to you! Unfortunately, we see it happen day in and day out but it doesn’t have to. With the activities offered daily, the swimming pool, the bowling ally, and the workout room you’re bound to find something to keep you moving. The only way for one to not have any social or personal involvement is if they chose not to. The Armed Forces Retirement Homes believe in giving their residents plenty of opportunities to stay active with their social and personal lives. Let’s be honest, we are in our sunset years and whether you believe in God or not we all will find out sooner than later. For those of you who do believe and your faith is what has carried you this far, we answer your questions about the spiritual side of things here at the AFRH.